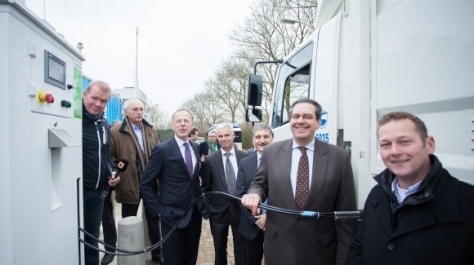 On November 29, 2013 the AutomotiveCampusNL in Helmond at Brainport opened the third Dutch hydrogen station in the Netherlands. Built by Dutch construction multinational Ballast Nedam in cooperation with Hydrogenics, the station will serve the VDL Bus and Coach to test their future FC buses and E Truck will . In a few months also passenger vehicles will be able to use the station as the pressure will be ramped up from 350 bar to 700 bar. Operated by WaterstofNet ,the Flemish/Southern Netherlands hydrogen network the station is co-financed by the EU Interreg program.